Spain uses a traditional basketball format for the Queen’s Cup as the top three teams and the predetermined host converged on Basque Country to determine the winner. League leaders Avenida had a tougher than expected time against a Girona team fueled by Chrissy Givens, but came away with the 68-60 win. 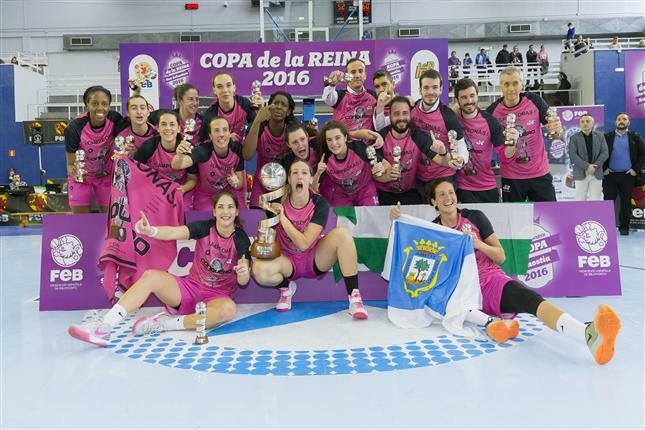 Conquero took an early lead on hosts Gipuzkoa and rolled to a 59-31 win to set up the expected Sunday final. The final was a possible preview of the teams that might contend for the championship. The frontcourt of Conquero grabbed the spotlight, leading their team to the 60-52 win. With so many options inside, the upstarts could be very dangerous for the rest of the season if all of their players are firing together. Conqueros surprising rise to the top could challenge the domestic dominance that Avenida expected after the demise of their previous big rivals. Adaora Elonu was named the MVP.